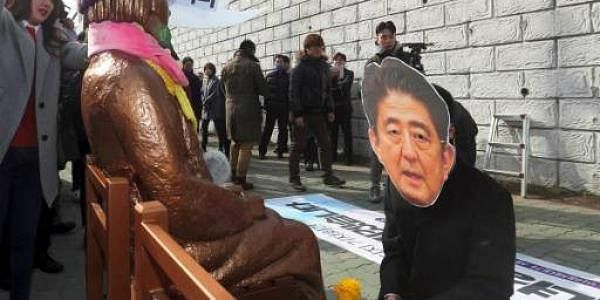 The US Supreme Court's decision came on Monday, despite the Japanese government's opinion presented to the court in February, after it was asked to hold hearings seeking the removal of the statue. BEIJING: China today welcomed the US Supreme Court's decision rejecting an appeal by Japanese-Americans to remove a "comfort woman" statue in California that symbolises the victims of Japan's sexual slavery during World War II. "The conscription of comfort women was a grave anti-human crime of Japanese militarism committed against Asian countries victimized during World War II," Foreign Ministry spokesperson Lu Kang told reporters, welcoming the ruling. "The crimes of Japanese militarism are irrefutable and cannot be denied," he said. Lu said the world should be alert to the fact that Japan has all along failed to show a correct attitude on historical issues, and that it even attempted to block the just actions of the international community. Comfort women were women and girls forced into sexual slavery by the Japanese Army in occupied territories before and during World War II. The statue was erected in 2013 as a tribute to more than 200,000 Asian and Dutch women who were forced into sexual slavery between 1932 and 1945.